You are here: Home » GENRE » Scifi » Dwarves for dinner? 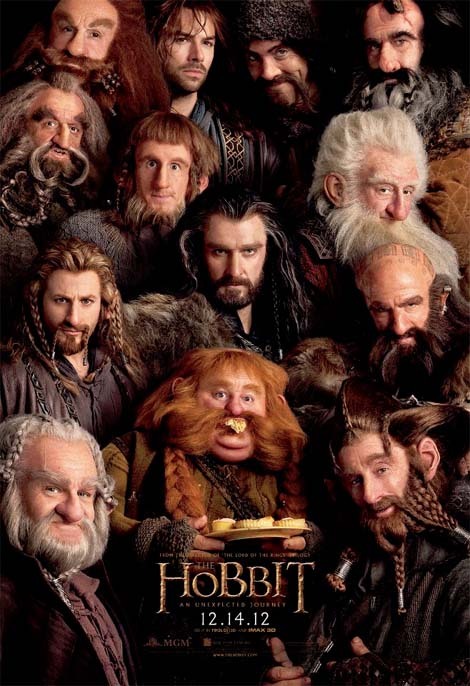 New Hobbit poster. Dwarves for dinner? New Hobbit poster. Could you cope with catering for 13 dwarves for dinner? We know a little hairy-footed Hobbit that looks a lot like Martin Freeman who is going to have to cope. This new poster from the Peter Jackson film gives you some idea of what’s in store. But not, we suspect, the quantity of washing up that supper with this lot entails! Misty Mountains? Pah, grab a dishcloth and get stuck in. Mass catering event, Middle Earth style. « The ancient streams of Mars.